The next issue of the AVSITA Forum Journal should be mailing this week or next, so check your mailboxes soon. 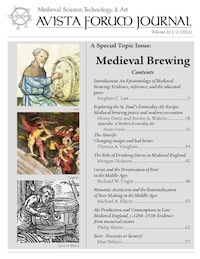 It is a special topic issue on Medieval Brewing. For the table of contents, see below, and for ordering individual copies, click here.